At Bentley Priory, good news and sad. The sad news is that Chris Lomas has moved to Birmingham and has therefore resigned as assistant warden. The very good news is that Camilla Bath and her Bentley Priory Management Committee have been awarded a £59,500 Heritage Lottery Fund grant to restore Furze Heath. This will involve clearing much of the scrubby woodland that lies between Summerhouse Lake and the top of The Greensward. The rest of this report concentrates on the Stanmore Country Park/Pear Wood/Royal National Orthopaedic Hospital area, since a lot is going on here. At the southwest corner lies the Stanmore Country Park car park and Six Acre Field. The latter will soon have a picnic table paid for by Green Grid funds. The Green Grid is also paying for the hardware component of a nature trail that will start here and show off many of the highlights of the Country Park. One of the first highlights on the trail is a 200 by 100 metre hotspot of fern biodiversity, home to six species including Harrow’s only specimen of Narrow Buckler Fern Dryopteris carthusiana. Three other fern species are found elsewhere in the Country Park. The nature trail will also point out the lines of large oaks within the Park. These once stood on field boundaries and can be seen on a 1945 aerial photograph viewable on Google Earth. Denis Vickers writes “One or two specimens might actually rival the Master (in Bentley Priory) - I estimate 400 years… In my opinion these oaks are pretty special and amongst the oldest of their kind in London”. At the southeast corner of the Country Park is Forty Acre Field. This is now fully fenced, thanks to Section 106 money, and Veolia Water have re-established the water supply to where a cattle trough will stand. John Hollingdale is now seeking cows to graze the field, and intends to put them on not in summer but rather in the autumn, once wildflowers have seeded. Grazing should improve the biodiversity of this field. John’s aim over many years of management is not only to improve the various open glades within the Country Park but to link them with rides wide enough to allow easy dispersion of butterflies and moths - and, as a bonus, grass snakes. He has already connected Forty Acre Field with John Hall’s Field to its north. This winter The Conservation Volunteers will work to clear the scrubby woodland separating John Hall’s and Blue Pond fields - this paid for by the Green Grid. In subsequent years a big Heritage Lottery Fund grant to the charity Froglife should fund creation of a ride linking Blue Pond field with Six Acre Field. 100 metres or so east of Forty Acre Field lies what will be a Green Grid-funded connection through to Brockley Hill Open Space, a small park north of the housing development on the old MOD land. A stile is already in place, and works to create a path should not be long in coming. Within Brockley Hill Open Space is an attractive pond which contains a very nasty plant, New Zealand Pygmyweed, an invasive species that can be spread by even the tiniest fragments. The only treatment is a complete herbicide kill of all plants in the pond followed by restocking, and Denis Vickers urges that this be done by Harrow Council Public Realm as soon as possible before the plant spreads to other ponds in the vicinity. North of Stanmore Country Park Wood Farm stretches up to Wood Lane. Biologically the land is of less interest than Stanmore Country Park and Pear Wood, although there is a good pond, favoured by grass snakes, adjoining Pear Wood while in spring the scrubby grassland on top of the rubble dump is alive with whitethroat song. We fought the housing development in the northeast corner and lost. The positive side of this otherwise sad outcome is the addition of the remainder of Wood Farm to Stanmore Country Park. Preparation of the site is being handled by Land Use Consultants who have been excellent in consulting with us. To what extent the final outcome will match their and our hopes is as yet unclear. One small victory is that a small building on Wood Lane called “The Dairy” will now contain a toilet for use by keyholders; this will allow Harrow teachers to bring field trips to the site. We don’t yet know the fate of another of our suggestions, that a 100 x 50 metre area around the pond be fenced off and managed for grass snakes and skylarks. More ambitiously, we have suggested to the Council that the large section 106 sinking fund allocated for maintenance of the Extension in its initial years be transferred to an independent management committee modelled on that at Bentley Priory. This would buy in contractor work including mowing and elimination of Japanese knotweed. Unlike the Council, an independent body could apply for grants to use the site for educational purposes and to continue maintenance once the sinking fund is exhausted. There has been no decision on this idea, although the response from council officers has been positive. To the east of Wood Farm lies the ancient Pear Wood. Edward Milner, author of Trees of Britain and Ireland (Natural History Museum, 2011), told Claire Abbott that this was the best woodland in all of London and Greater London that he has seen. During February to April 2012 Pear Wood was the site of our successful battle to prevent the sale of the Cottages enclave and the building of a luxury house. One of the highlights of Pear Wood is the remnant of Grimsdyke, a Saxon boundary marker. English Heritage are paying for three visits per year by The Conservation Volunteers to keep this clear of scrub. Further east, between Pear Wood and Brockley Hill, is the open scrubby expanse of Brockley Hill Field. Our hope is that the original (2008) Council promise, that this field be added to Pear Wood nature reserve, will eventually be fulfilled. Across Wood Lane lies the Royal National Orthopaedic Hospital. Straddling the fence adjoining Wood Lane is a big nest of the Southern Wood Ant, Formica rufa. Other, linked nests lie in a small patch of woodland between the Institute of Orthopaedics and the Purchasing and Linen building. This is the only surviving population in Middlesex and one of only two in Greater London, the other being at the opposite edge of the conurbation in Bexley. The nearest colony to ours is in Burnham Beeches in Buckinghamshire. The hospital ants are at present thriving, but worries that redevelopment of the site will damage the population led Phil Attewell, together with Claire Abbott and Rosemary Etheridge, to transfer populations to Pear Wood. Pear Wood used to support a good population but this had almost died out by 2004. Six nests have now been transferred, spaced widely enough so that they will function as independent populations rather than, as in the hospital grounds, one super-colony, impressive but vulnerable to a single catastrophic event. They are all doing well. The ecological aspect of the proposed development of the hospital site is being handled by Aspect Ecology, who have involved us in discussions and seem keen to take our views on board - in particular, the idea that the wood containing the ant colony should be fenced to protect it during construction work and should remain closed to the public once work is completed. On a broader scale, the redevelopment of the hospital is clearly welcome - except that it is proposed to be funded by large housing developments at both the east and west ends of the site. Worse, vehicle access to the western housing is to be along what is at present a narrow (and as far as I can discover, nameless) lane leading from Warren Lane to Warren Lodge and Grove Farm. We have argued strongly that the development be designed such that the majority of traffic enters and leaves onto Brockley Hill, which is already a busy road, rather than onto the narrow rural byways of Wood and Warren Lanes. Our views seem unlikely to prevail on this point. The Rev James Mercer has said that the monthly management actions have taken place including cutting back along the paths and mowing the butterfly meadow. The Churchyard has continued to thrive with 2 Orchids reappearing and 8 Agrimony plants this year. The Forest School Project pilot has been successful and the bid for three years funding from the John Lyon’s charity has been approved. A teacher will be funded for two and a half days a week for three ten week terms a year with four small school groups a week. There will be a press launch shortly. Steve Bolsover reported that the application by the Management Committee to the Heritage Lottery Fund for £59,500 to support restoration of Furze Heath in the northeast of the site has been successful. Ten “Lazy Dog” tools have been purchased that make weeding individual plants easy and these are stored in the Forum tool store. The grant budget paid for two TCV (The Conservation Volunteers who were previously known as BTCV) visits to remove Ragwort on Furze Heath (that is, the north eastern corner of Bentley Priory) on August 28 th and 30 th . A volunteer group from G. E Money is booked in to use the tools to remove Ragwort on Spring Meadow on September 12 th . In addition to this work Peter Peretti reported that the usual rotational management has continued. Most of the Laurel has been removed and the stream through the dell has been cleared as usual. Summer House Lake has not had much attention this year so will be a priority.There are plans to open up an area on the west of Spring Meadow, where the spring rises, to improve access and the visitor experience. Bevan’s Marsh area will be extended. Fence and gate repairs are ongoing. The view from the top of the site where the new seat is situated by the Pill box is panoramic and will be improved by the removal of two to three trees. Mammals using the site include: Rabbits, Weasels and Wood Mice. Cuckoos have been heard and a Willow Warbler was heard singing, as has a Lesser Whitethroat. Buzzards are now nesting in the area. There have been reports of Red Kites overhead and Hobbies range over the site. Concern has been raised about the security gates being constructed at the Priory Drive at the Common Road junction and assurances have been given that a pedestrian gate will be unlocked at all times. Vehicle access too should not be a problem. The City and Country Group, who are restoring the Mansion, will donate funds for survey and remedial work on the Master Oak in return for an article in the Friends Four Season Magazine. Claire McDermott reported that a flower bed is being created at the Alexandra Avenue end of the site to increase nectar for bees etc. Scythe work was carried out on Wednesdays and/or Saturdays from the end of April through to the end of June to keep on top of the Thistle situation and now there are only small pockets of thistles remaining. Working parties will continue in the Autumn. The Council has cut the wet meadow for the first time (no notice was given that this was going to happen). However overall the Park is looking fine with increased number of flowers for nectar and a reduction in the rampant Thistle and Nettle. Proposals for Green Grid funding for next year would include additional fencing at the Alexandra Avenue entrance and clearance of the pond. New plants are also needed. Carole Lis will provide Marjoram seed. It was reported that a deal had been negotiated with English Heritage such that they pay us £3150 plus VAT and in turn we book and pay for three TCV visits in each of three years to maintain Grims Dyke in Pear Wood (this is based on a quote from TCV of £325, £350 and £375 per visit for each of the years of the agreement). One visit has already taken place. Claire and Rosemary were continuing to work towards gaining SSSI status for the reserve and species lists are being prepared. Simon and Claire have been monitoring the Pear Wood Cottages enclavefor use by bats but none had been seen as yet. Edward Milner is monitoring the pitfall taps in the reserve primarily for beetles and spiders. Bladderwort (Utricularia vulgaris) has flowered in the scrape. A pair of Hobbies has been seen also 2 cuckoos earlier in the year. The ants that were moved have settled in. The fencing work that had been put on hold would now proceed using the TCV to assist with the repairs. Steve reported that the Japanese Knotweed on Brockley Hill Field at the boundary with Pear Wood now covered a significant area and would need to be tackled by the council. Steve would provide the relevant coordinates. A history of the site, by Alastair Johnstone, has been produced. Dave Bolton reported that the steps have been replaced and the treads and risers are placed at sensible distances and are now a great asset to the site. The paths have been topped with 40 tonnes of Breedon gravel to cover the fragments of glass on the path surface. 2 posts by the kissing gate and some rails have been replaced. The regular monthly working parties have occurred: cutting back encroachment by brambles; cutting path edges and removing litter. Additional clearance work was carried out after a tree fell over a path. Dave will carry out some clearance work before the Roxbourne Park River Festival on 16th September. Simon Braidman reported that at least 482 volunteer hours have already been input into the Bluebell Heath project. A number of trees and a bat roost have been identified for retention and a small working group will go check site again before the contractor starts work. David Bailey and Steve are now NPTC qualified pesticide operatives and began spraying the Bracken on August 22nd 2012; the effects are already showing. Some areas will be cut rather than sprayed. The plant identification course ran on 26-30 June 2012 and was attended by Simon Braidman, Tony Gourdin, Vanessa Marlowe, Sue Kabel and Molly Heal. Mark Towers of T. and T. Earthmatters has been appointed as the contractor. Simon reported that 3 events took place on 22nd July: a working party; a guided walk and a visit from the London Natural History Society. On the latter David Bevan found that Green- ribbed sedge (Carex binervis) was far more common than previously thought. There are now at least 40 Hard Fern plants on New Heath. 15 people attended another guided walk and the bat walk proved successful with records of Daubenton’s, Common and Soprano pipistrelle bats. Green Grid work on the car park and Witling Ride will go ahead. Some clearance of scrub to the south of the car park will take place. Simon reported that he was monitoring the internet for possible Raves. The only activity recently was a party and litter was generally cleared up. 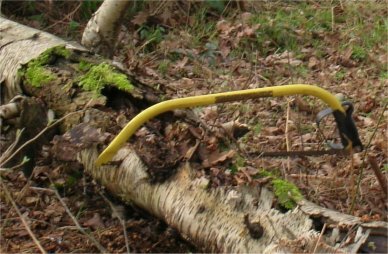 Information was circulated relating to the laying of power cables for Bentley Grove and Denis Vickers is recommending that an extended phase 1 habitat survey, which includes a protected species assessment, be carried out. Marion and Norman Sartin, Margaret and myself have continued with our regular monthly morning work parties; maintaining paths and pulling bracken. We have also cleared a couple of fallen trees that were partially blocking paths. A group of cheerful people from the local Geochachers; Cache In - Trash out (CITO) have cut back Gorse and Bramble below Ant City. The July walk was well attended even though it started in the rain. However it finished in the sunshine and several species of butterflies including Ringlets were seen. In fact Ringlets have increased their range and have now reached the grounds of Buckingham Palace. We have had two moth evenings this summer and I am waiting for some of the micros to be identified by the county recorder, Colin Plant. 59 species have been identified so far. Some of these are new records for the Country Park as the new micro book has made recognising species much easier. Kate Lewis has continued to clear litter from the Country Park and reported that the bins had been cleared at the top of Kerry Ave. However it was disappointing that the rubbish at the top entrance in Dennis Lane had not. We have added this to the Council’s ‘fly-tipping’ page and are awaiting some response. The annual mow should be taking place as you read this newsletter. Robert Stone reported that Green Woodpeckers have been seen this year. He also has previous survey results for the ponds that he will send on to John Dobson. Steve reported that the work on the overhanging branches and clearance work at Caesar’s pond would be carried out in October by Bob Nicholas and would cost £850. £300 would be provided by an anonymous local resident and would be sent to Robin Youle. The remainder of the cost would be met by the Forum.